We shape creative minds capable of launching new ventures. 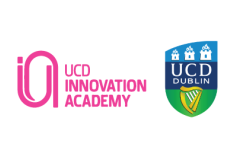 Located in University College Dublin, UCD Innovation Academy designs and delivers world-class programmes in Creativity and Entrepreneurial Thinking. We offer you a transformative educational experience no matter what level, discipline or industry you work in.